The American Geophysical Union’s Fall Meeting is one of the largest gatherings of researchers in Geoscience, with varying expertise, in the world. The 2018 Fall Meeting took place in the Walter E. Washington Conference Center in Washington DC, from December 10th to December 14th. The opportunity to learn about the different research projects and methods being used across the world is one of the major benefits of attending this meeting. The poster I presented, as part of the ‘Boundary Layer Clouds and Atmosphere, Biosphere, Land, and Ocean Interactions’ session, described the methods I have used for generating my simulations and the methods used for analyzing the results of these simulations. 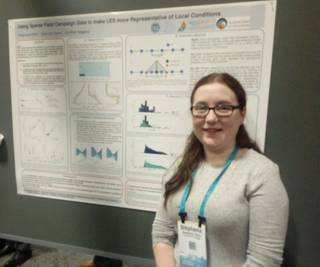 A benefit of having a poster at the AGU was that it allowed a number of fellow researchers to come up to the poster to discuss the research methods I have been using and my results. As a student I was also able to submit my poster to the Outstanding Student Presentation Awards (OSPA). As part of the OSPA, two judges stopped by my poster to ask questions and judge different aspects of the poster and presentation. A benefit of participating in the OSPA meant that I got detailed feedback on my poster and how I presented the information on my work. Aside from presenting my poster at the AGU, I also took the opportunity to attend several talks that related to my research interests, including sessions on ‘Progresses in Understanding Atmospheric Convection’, ‘Convective Clouds: Processes, Dynamics, and Links to Weather and Climate’, and the oral presentations in the ‘Boundary Layer Clouds and Atmosphere, Biosphere, Land, and Ocean Interactions’ session, to name a few. 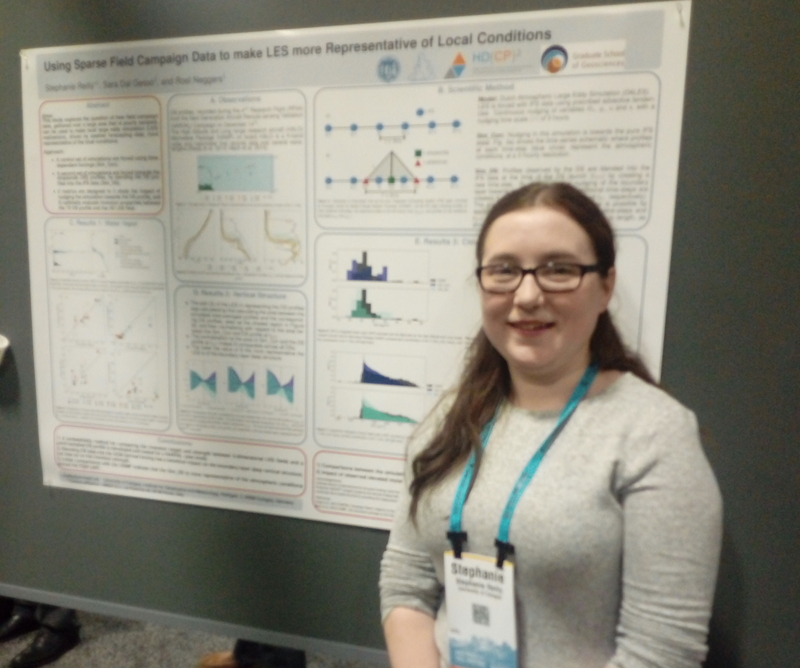 The AGU is a great opportunity to meet fellow researchers and gain insights into their research methods. It also allows researchers to gain insight into different research fields that are very different to their current research fields. With presentations on mineral and rock physics, seismology, solar and heiliospheric physics, and natural hazards, to name a few, that are open to all attendees it is interesting to be able to learn about the scientific research being conducted in the different fields covered by geoscience. I would like to thank the GSGS for funding my trip to the AGU. By attending this conference I have increased my knowledge on current work being conducted in research fields related to my research topic which will benefit my work in the future.